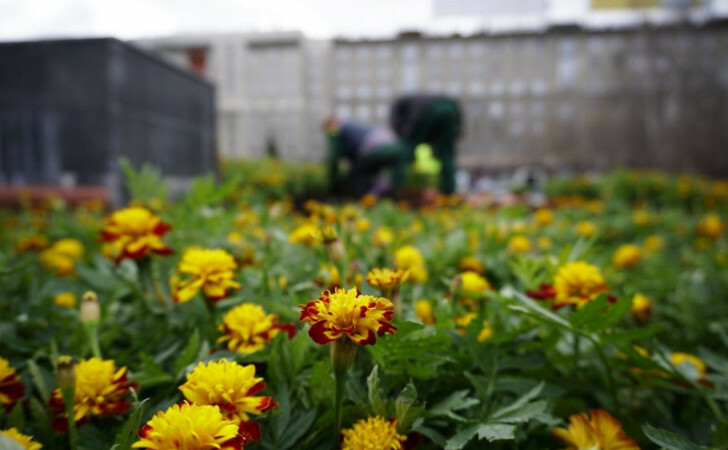 Today, the city gardening service began planting flowers at the porch of the opera house in Novosibirsk – the flowerbeds were decorated on the eve of the May 9 celebration. Experts hope that the flowers will withstand the cold weather of May, because tagetes – “marigolds” – tolerate the cold better than other types of flowers. 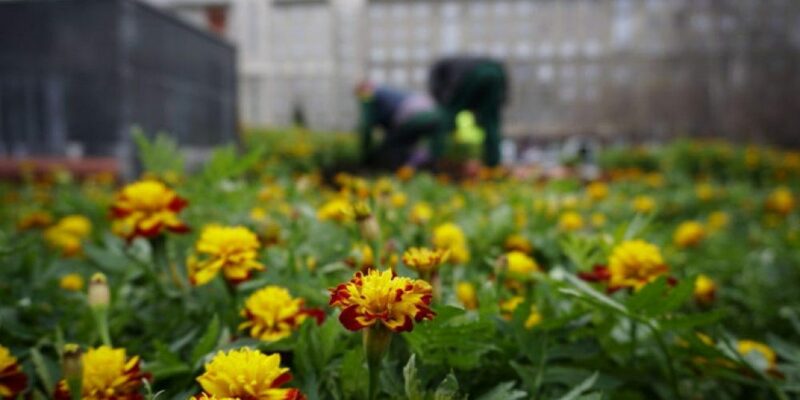 By May 9 in the Central region of Novosibirsk promise to plant 5 thousand flowers – in addition to marigolds the gardeners will plant petunia and salvia. And to the Day of the city the center will blossom!